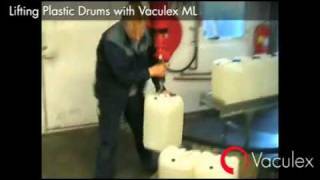 Most often barrels are very heavy, bulky and hard for your body to handle manually. 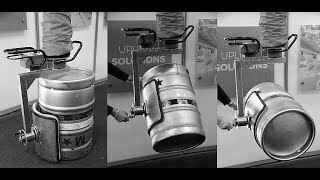 During the last years Piab has developed lifting equipment custom made for barrel and keg handling. In micro-breweries barrels are being handled manually. Lift and rotate in one motion! 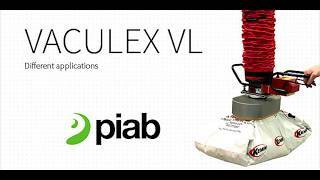 The Vaculex® VL lifting solution allows you to lift, rotate and stack the barrel in one motion. This process can be handled by one person and without the need of a forklift - the overall working process will become easier, smoother and faster. 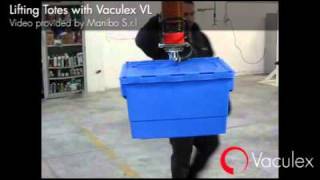 Our Vaculex® vacuum-lifting solution is ergonomic, flexible and reduces the load on your body by more than 80%. Thus, minimizing strain injuries, back pain and sick leave, whilst increasing efficiency and user happiness. The barrel can be picked up in any position, lift and rotated 180 degrees then manuevre it to its desired location on the pallet. 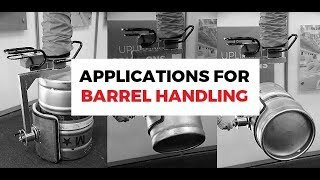 Stacking up to 3 barrels is possible.